Holistic land management is another carbon tool that I have been sharpening lately. Biochar / Soil Science / Quantum Agriculture / Organic methods / Biological farming / Biodynamic Farming / Bio Diesel production / Agroforestry / Holistic land management. My Nightcap forest utility tool belt is large. All the above, work flawlessly with Biochar to produce abundance for the lucky nightcap forest / biochar project inhabitants. My story today begins with my 2013 goals and dreams. 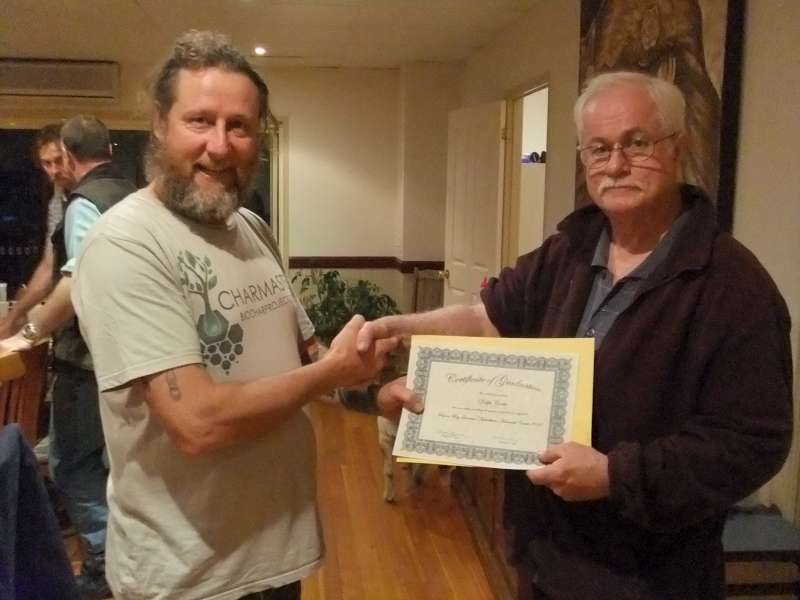 Since 2009 I have been at the forefront of Australian biochar industry development and local community biochar activism. 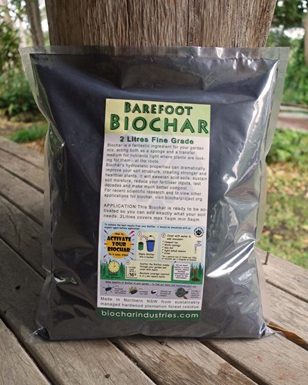 So there isn’t much I don’t know about biochar. As each year closes I review my goals and plot how much I actually have achieved, then I dream up some more goals for the coming year to align closer to the direction I want to go in. 2013 is the year I start looking closer to nature for the answers. I have behind me an impressive collection of high achievements in many agricultural based concepts and of course I am the caretaker of this massive private forest, from which I also learn. Because I work from a place of integrity and caring for the environment. I find the friends I meet yearn for so much more out of life than what is currently offered in schools or on traditional farms. Three courses I did in 2012 all mentioned the importance of animals on the land. Abundance from which I work gave me the opportunity to put into practice, for myself, holistic land management techniques. A good friend and expert permaculturalist – Scotty. Secured me the chance to attend a holistic land management course being run locally in Bangalow, NSW. Unfortunately I could not attend as other courses I was doing overlapped. But Scotty like a true mate and champion said “I will go and we will work on it when we get together”. Well Scotty emails me and says how awesome Holistic land management is and we need to get Cows. I as usual took it all in my stride and asked the universe to provide me with cows. A lot of friends say I am very good at manifesting what it is I desire. 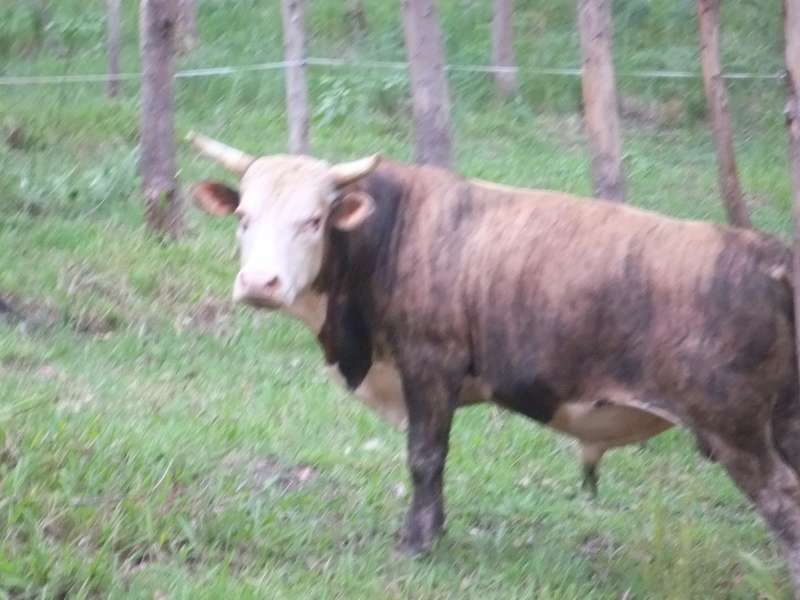 Within three days of my wish for cows I received an email from a list that I am subscribed to saying that a lady had some cows that needed homes. Go figure this was not a agricultural list I was subscribed to but a very local spiritual list that lets me know about every esoteric concept in the area. Within days I became a very green behind the ears Cowboy, with my very own herd of five cows. Scotty was beside himself, trying to keep up with my emails about how does this work or what should I do now. Probably half a dozen emails a week. Very soon I was learning about the pitfalls of electric fence and cell grazing. It seemed every time I turned around the cows were mooing for more food then promptly escaping my electric fences to eat off all the leaves on the mulberry tree. I chased them around on the motorbike and they would run back to the cell. I would lock them in then go about my day as usual to find the cows waiting for me in the vegie garden. Talk about frustrating. Finally some good luck an old cow cocky came by and admired my cows he said “what are you doing boy” in that drawled out Queensland accent. I explained it all to him without taking a breath. 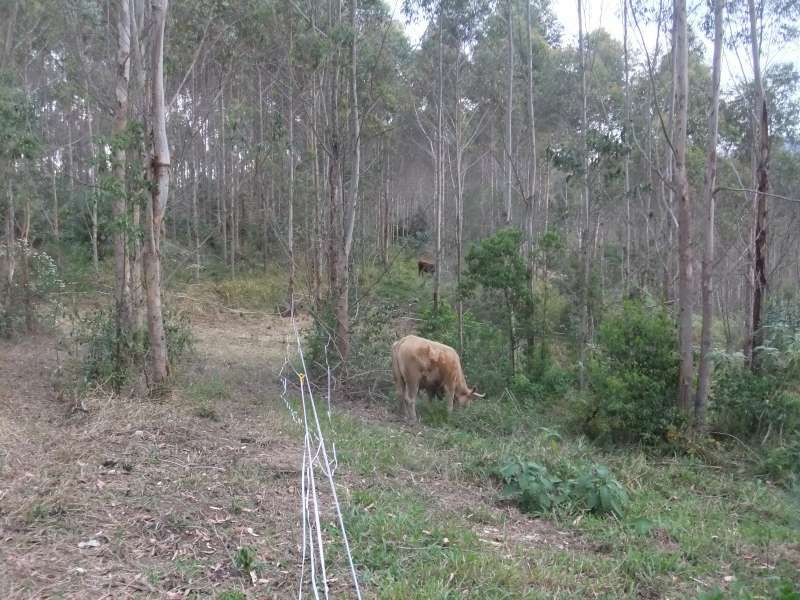 He was instantly interested in doing the same on one of my paddocks but with 300 cows. We got talking then I took him around the forest on a tour and then he gave me the best advice on how to keep the cows respecting the electric fence. From that day on I became a holistic land management convert. I knew how important cows were from a biodynamic point of view. Heck I even knew how good cows are from a Spiritual point of view. Now I know how good cows are from a Biochar project point of view. Let me explain. I tend a huge forest with hundreds of hectares of both plantation trees and regrowth forests. I do it certifiably organic and manually. Once I mastered the electric fence and turned the wandering wilburys into super sonic dense forest mowing machines. I was surprised to see what a great job they do on everything. Holistic land management preaches a balanced animal is part of a balanced farm and no where do you see that more clearly than in a grazing cell. I started putting the cows in a 50 meter square enclosure inside the forest. I would move them every four to seven days when they started to moo for food. In the first couple of days in a new cell the cows would eat everything green insight. The next few days they had no choice but to eat everything brown this is the way to balance a cows diet. The green is the carbs and the brown is the protein or something like that. By forcing them to eat the browns gave them balance. A side effect of cell grazing is Trampling weeds and pooing out nutrients both of which are terrific for the areas I am care-taking. By mowing everything insight I no longer have to use the bulldozer to slash the weeds that get out of control. Another concept Scotty showed me is what goes in must come out eventually. So now I feed the cows with things I want deposited into my forest. You guessed it Biochar !!!. 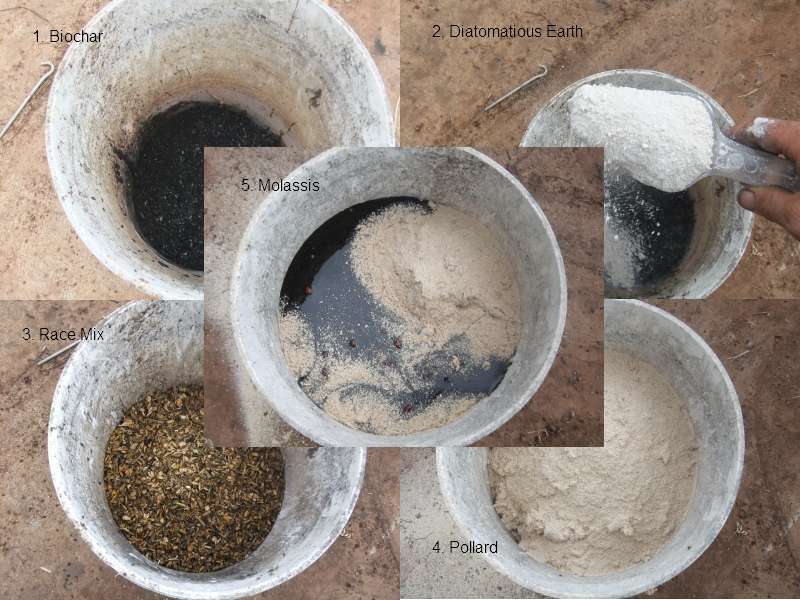 There is lots of noise on the biochar lists about cows inoculating biochar and then automatically spreading it out. This takes out the hassle and I don’t have to use any fossil fuel. Today two friends came over so I could selectively cut some wood for their new tractor shed that will be built soon to house their brand new tractor. These folks are A grade organic dairy farmers with a passion for excellence from every aspect of cow/farm health. I asked them about holistic land management and is there a way that I could get cows to spread seeds at the same time as they spread my biochar. For yet another learning project. Well talk about getting schooled these guys knew the names the genus and the common name and price of all the seeds that would work in my area and a special trick on how to get them to allow most other seeds to germinate once passed through the ringer. So now I have a lawn mower that happily cleans the forest, Inoculates and spreads the biochar and plants next seasons food for themselves without blinking an eye. Talk about awesome. Enjoy some before and after shots of cell grazing on the hill of abundance. 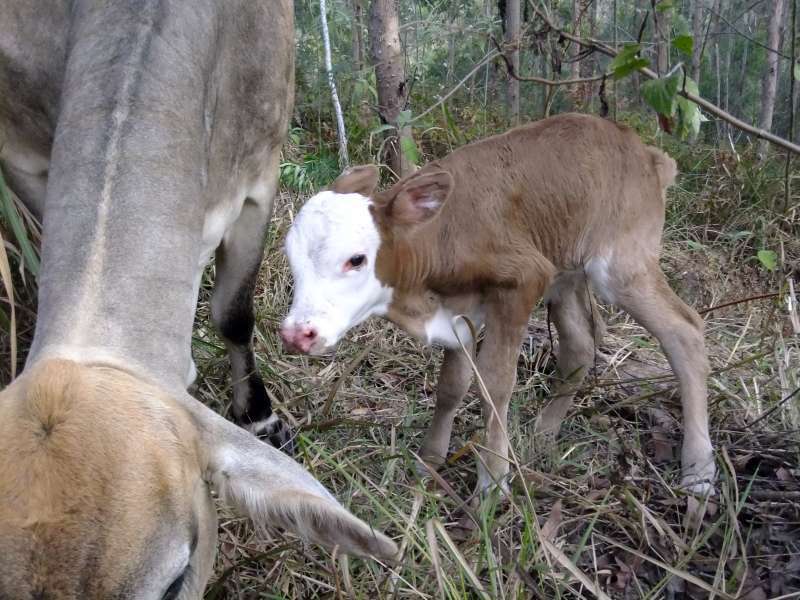 Also a ferral cow came along and decided to join our herd and one day one of the lady cows had a baby so now our herd is 7 strong. Next post: Organic grower chooses Biochar for his production Greenhouses.